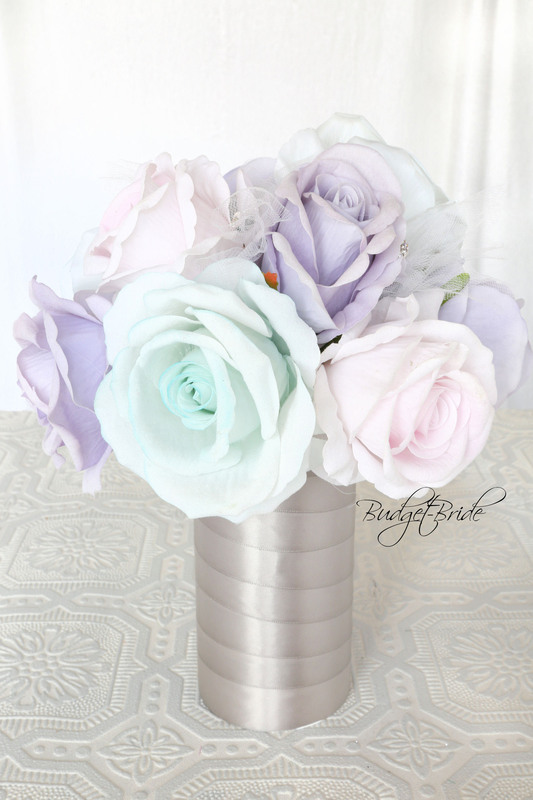 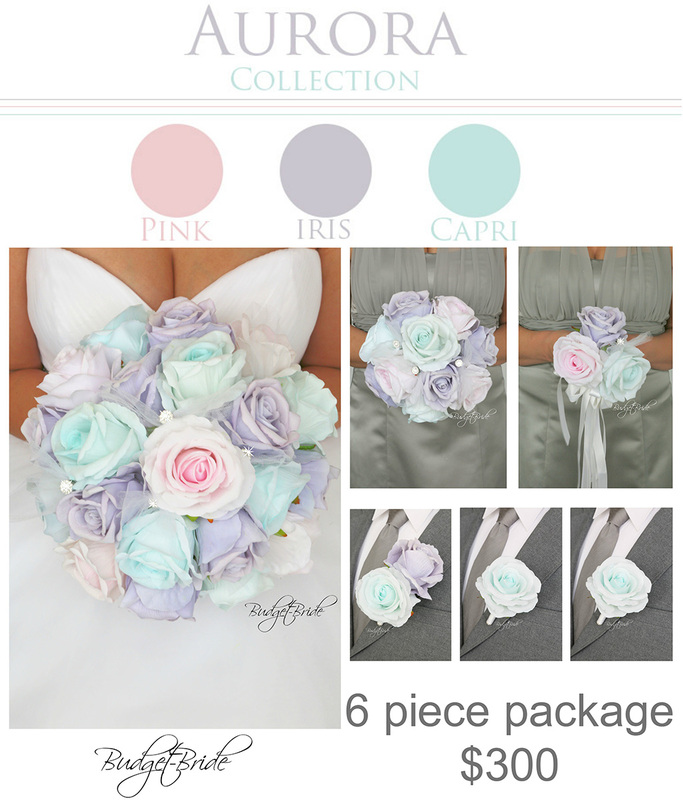 This matching bouquet is an 8 inch bouquet with tiffany blue, dusty lilac and light pink roses accented with tulle and small jewels. 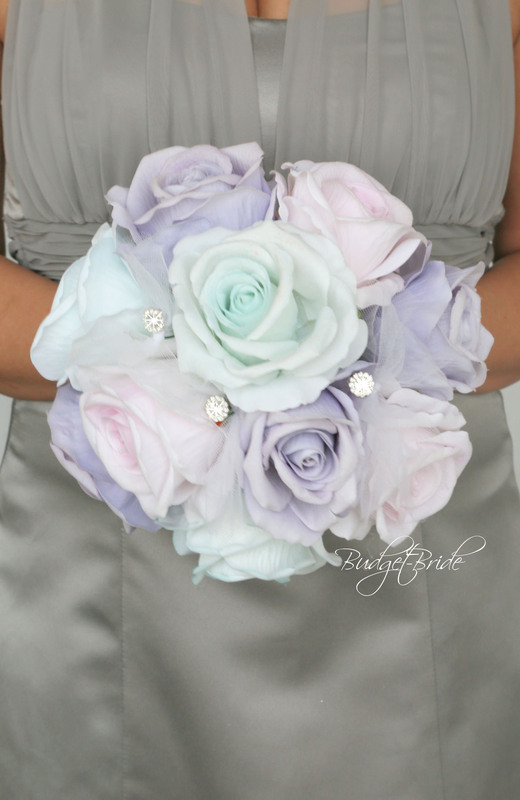 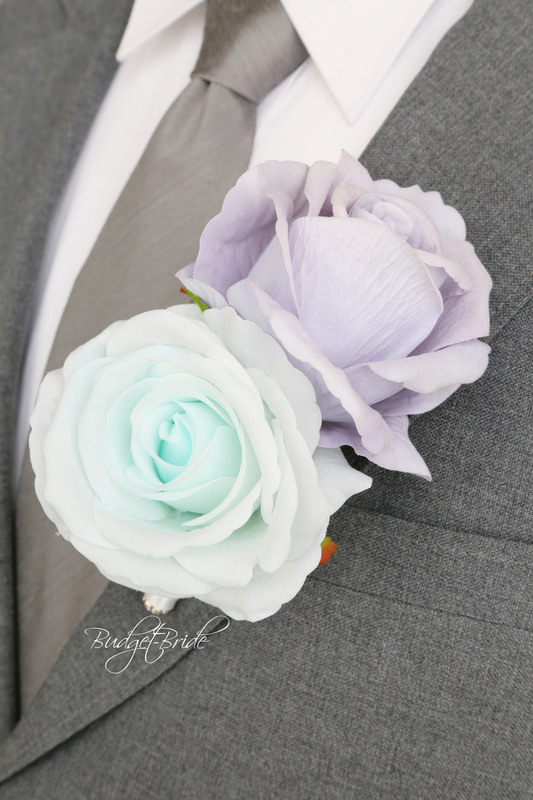 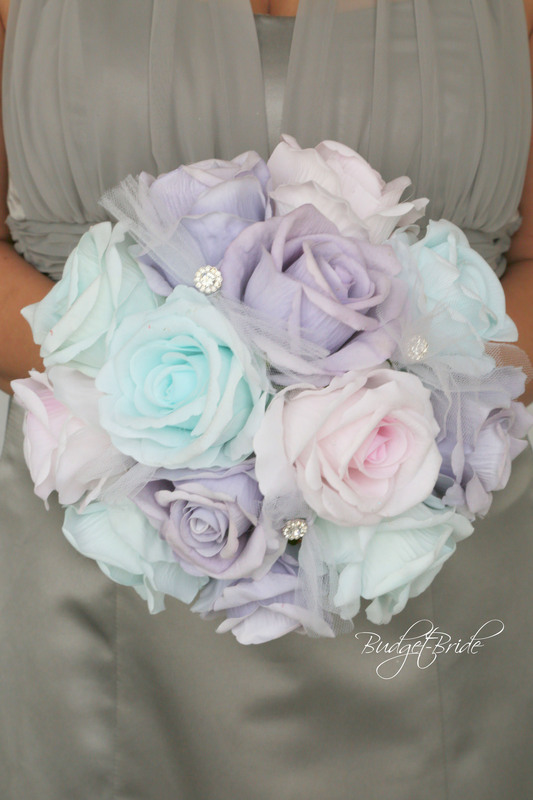 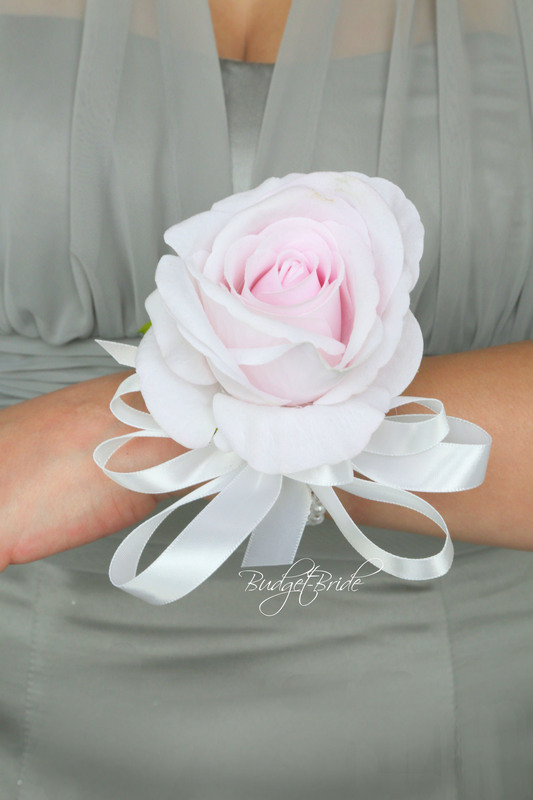 This matching bouquet is a 6 inch bouquet made with tiffany blue, dusty lilac and light pink roses accented with tulle and small jewels. 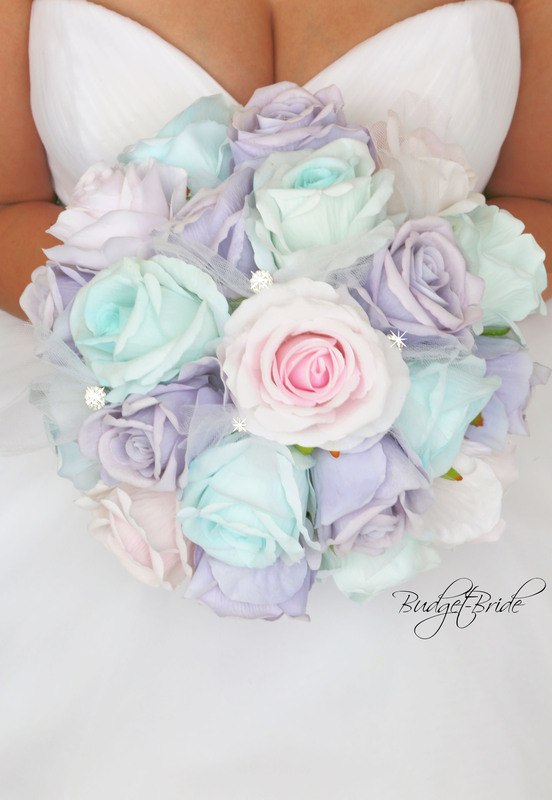 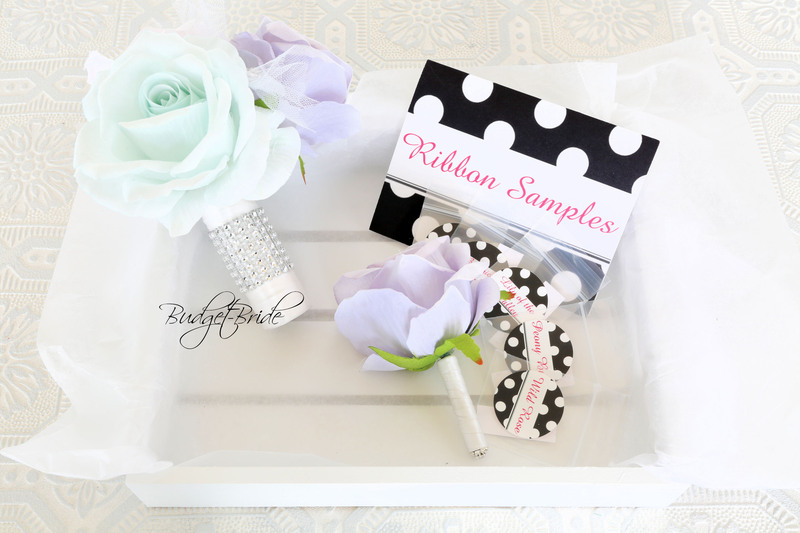 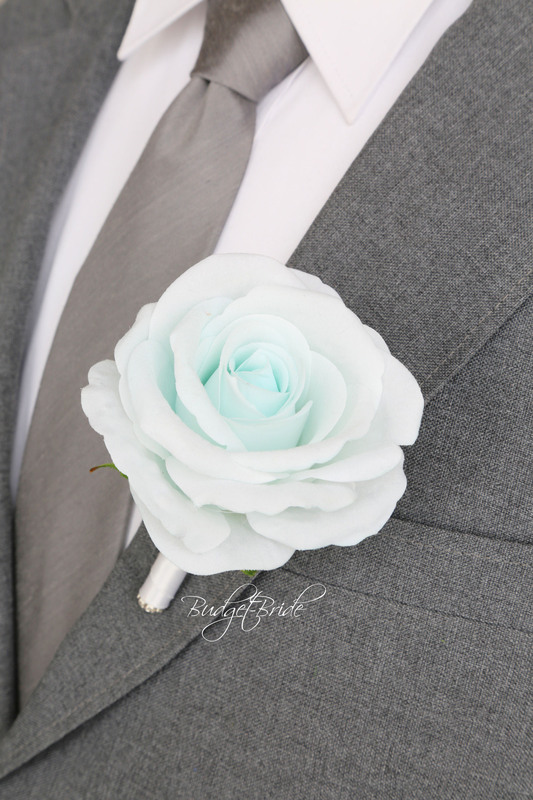 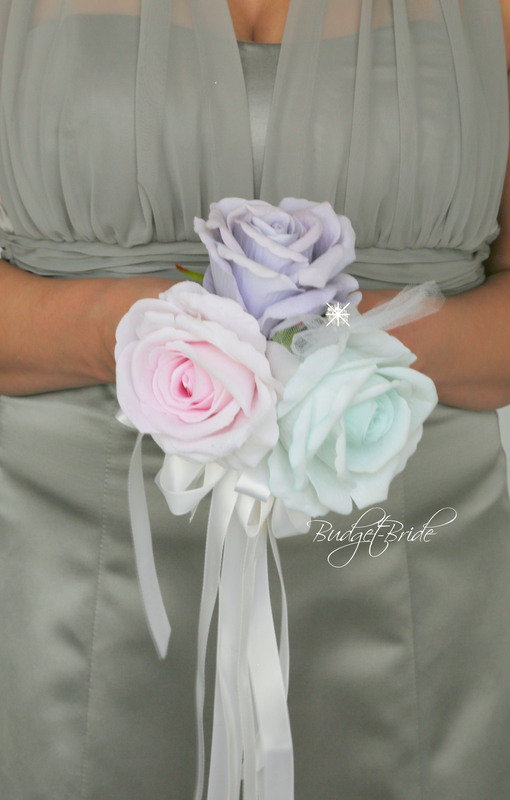 This matching bouquet is a 4 inch bouquet with tiffany blue, dusty lilac and light pink roses accented with tulle and small jewels.